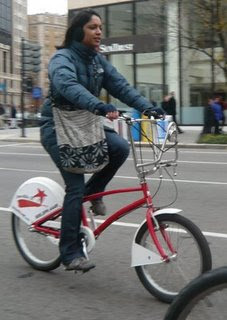 The Washington, D.C. SmartBike program survey results are now complete and the District of Columbia Department of Transportation is kind to share them with The Bike-sharing Blog readers. The SmartBike D.C. program is nearly one year old with its birthday coming up in August. Of the 1,000 or so members of the program, 333 responded to the survey. The SmartBike D.C. program is in its pilot stage with 120 bikes, so these results may not broadly apply to other programs, but the data is interesting nonetheless. Question #2: A majority of the respondents use the bikes less than once per week (62%). This is likely due to the lacking availability of stations. With only 10 stations in the pilot program, most of the respondents find their needs not met as station coverage is poor. However, about a third use the bike 1 - 3 times per week (28%). Question #3: A majority of respondents use the bikes for social purposes (48%) while commuting is the second most common use (41%). Question #4: Nearly 70% of bike-sharing trips would have been done by foot had the bikes not been available. However, bike-sharing pulled 16% of the respondents away from driving a personal car for their trip and 19% away from a taxi. Question #7: Trips combining bike-sharing and the subway or bus was low. A smartcard usable on all three systems, like the D.C. region’s SmarTrip card, could improve these numbers. Also, more stations at transit-accessible and non-transit accessible locations could improve this. Question #8: 60% already own a bike and 40% don't own a bike. This affirms the belief that people with bikes would use the system. Also, with 40% not owning a bike, bike-sharing is creating bike trips that otherwise wouldn't be made. This first survey of a 3rd generation bike-sharing program in North America is helpful in guiding its growth and that of other programs. Overall, it says that bike-sharing is working on this side of the pond too and that’s good news. UPDATE 7/12/10: The results are now here. Posted by Paul DeMaio at 5:20 PM 2 comments: Labels: bike-sharing, SmartBike D.C., Washington D.C. The prototype bicycle for Veloway’s new bike-sharing system has its art début today in the exhibit Bicycle: people + ideas in motion Philadelphia at The Galleries at Moore College of Art and Design. The new bike-sharing system has its street début as Vélo Bleu next month in Nice, France. 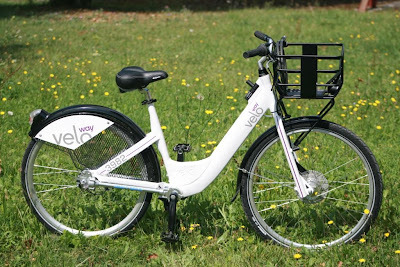 This system is the progressive evolution of Veloway’s OYBike in the United Kingdom and GreenBike at a university in Illinois. The system has solar powered stations with a multi use cable lock system for station docking or securing the bike while in use. The bikes are accessed by either a subscriber RFID card or by mobile telephone. 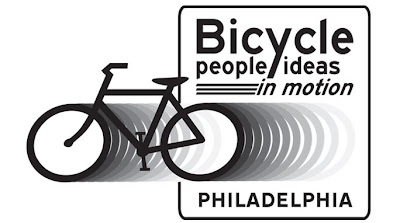 If over the summer you are in Philadelphia come see the bike at Moore, or if you are so lucky to be on the Côte d’Azur take a spin on a Vélo Bleu. Vélo Bleu starts on July 17. Sign-up after June 22 at VeloBleu.org. Just four weeks after its inauguration in Montréal, the BIXI bike-sharing system began a 4 month trail of 50 bikes in 4 stations in Ottawa, Canada’s capital city on June 8, 2009. Canada News reports, that the program — which allows residents, workers and visitors in the National Capital Region to travel in a greener way — is also part of a feasibility study for a permanent bike share program which would bring 300 to 500 shared bikes to the region next year. At CDN$3.00 for a daily pass, BIXI Ottawa-Gatineau is a bargain compared to Montréal’s BIXI CDN$5.00 daily pass. Even at CDN$5.00, 22,000 of the 75,000 trips on BIXI has been by casual or non subscriber riders since the start on May 12th. There are now almost 4000 yearly subscribers. With around 4500 daily trips in the system, it has a healthy 3.45 usages per bike per day! Canadians on the west coast are also getting a BIXI “fixie” this weekend in Vancouver. From Friday June 12th through Monday June 15th there is a hands-on BIXI demonstration near the Science World geodesic dome. The on again off again love affair with bike-sharing in Rome is on again. As of today, June 1, 2009, Roma’n’Bike was taken over by Rome’s Public Transport Company, Azienda Tranvie ed Autobus del Comune di Roma (ATAC) and rechristened, “atac bikesharing.” This odyssey chronicled in this blog: November 15, 2007: Roam around Rome, June 16, 2008 Bon Giorno, Roma and March 14, 2009 Cemusa closes Roma’n’Bike has been played out like a romance novel. 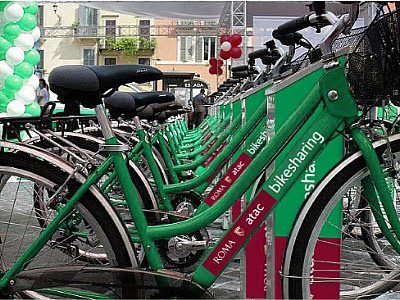 Cemusa, the international advertising company is the jilted suitor, Rome’s Mayor, Gianni Alemanno embraces Bike-sharing then gives it the “cold shoulder,” while the citizens of Rome's efforts to nurture and grow the program have further embellished the story. The new system will be strictly pay as you go! Expanded to operate 24 hours a day, each ½ hour is €0.50 with an initial €5.00 registration fee. 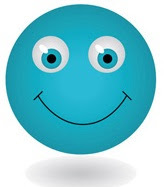 There is no time gratis and are no subscription fees according to Wanted in Rome, an English language Roman information site. Not all are happy about losing the 30 minute free initial ride; inflammatory comments such as “the death of bike-sharing” are seen in the Italian Bike-Sharing Roma blog. Rather than the death of bike-sharing, this is another example of the trend to fund bike-sharing through a municipality or a service in the municipality. In Nice, France the regional government is funding the system. In Montréal, Canada the parking authority funds the system.